This year’s BCFO AGM in Pemberton (June 13th – 15th) is going to be a great weekend in its own right, but we’ve also lined up some fantastic optional birding opportunities for members both before and after the conference weekend. This year’s three-day Extension Trip, lead by Rick Howie will be focus on the grassland and higher elevation forest birds of Rick’s Kamloops home turf. Leaving Pemberton after lunch on Sunday, June 15th, participants will make their way to Kamloops, with a stop en-route for some Hat Creek birding. The extension will shift into high gear early Monday morning as daily excursions to key habitats start and return to our hotel “base camp” in Kamloops. 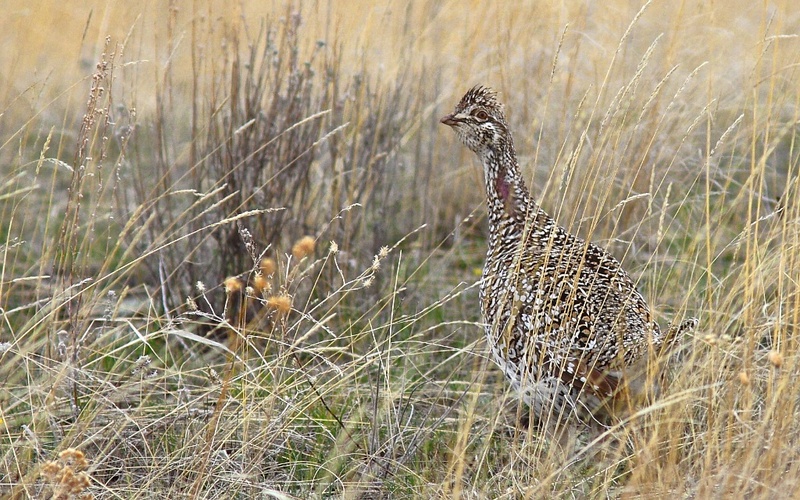 Provisional target species for the extension include: Flammulated and Boreal Owls, Boreal Chickadees, Swainson’s Hawks, Long-billed Curlews, Chukar, Lewis’s Woodpeckers, and Horned Larks. Participants will also have reasonable chances to see American White Pelicans, Northern Hawk and Great Gray Owls, Williamson’s Sapsuckers, Rock and Canyon Wrens, and Prairie Falcons. Transportation will be car-pooling. Full details of the extension, including costs, hotels, and registration forms will be published in the March issue of BC Birding. Sharp-tailed Grouse, Lac DuBois grasslands. Although lekking is over by June, a few stragglers may be still be around for the Extension Trip. Lillooet will be the destination for members who wish to enjoy some excellent birding before the conference. A two day field trip will be offered for June 12th and 13th as one of our 2014 scheduled Two-Day Field Trips for Members. 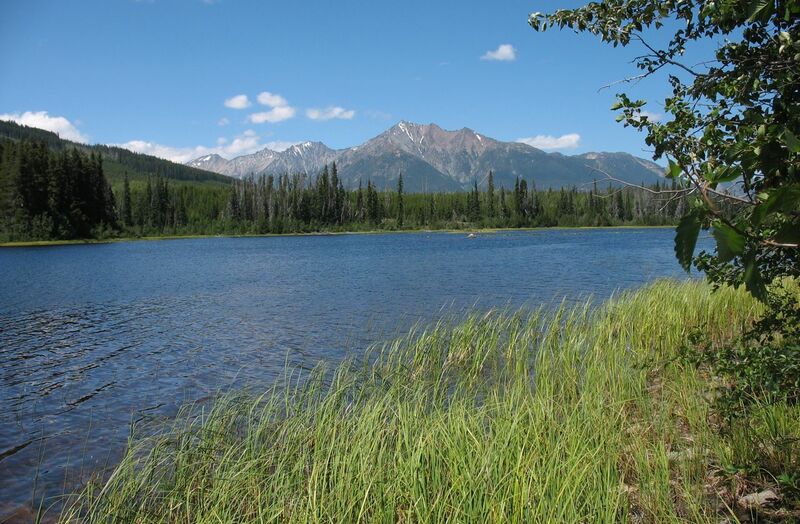 BCFO members know from our 2007 AGM that Lillooet is an amazing place to go birding. Many of us who missed that opportunity won’t want to miss out in 2014. Hoped for species include: Dusky Grouse, Western Screech-Owls, Red-naped Sapsuckers, White-throated Swifts, Long-billed Curlews, and Rock Wrens. The trip will wrap-up early afternoon on the 13th, giving everyone plenty of time to drive to Pemberton for the AGM opening Meet and Greet. Full details and registration forms for the AGM, and both trips will be published in the March issue of BC Birding.